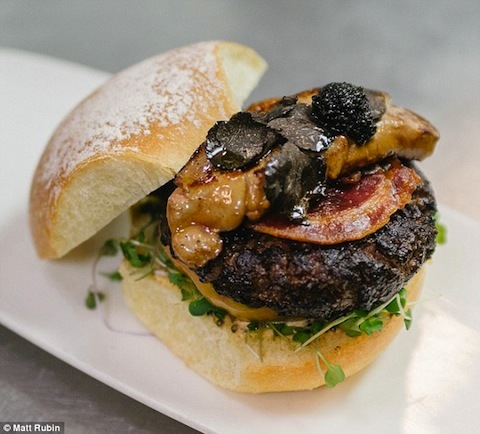 A brief history of the arms race to craft the fanciest patty in the country. 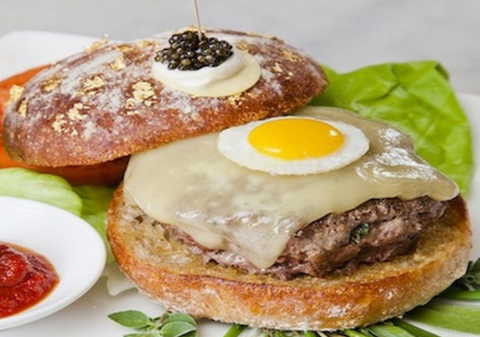 America is burger obsessed, and not just with the Big Mac. We’re a nation who increasingly looks to food and dining experiences to define our social status. 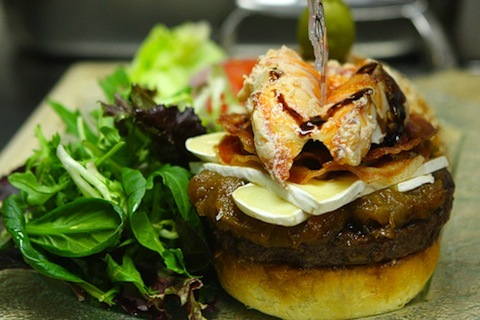 That’s why some of today’s burgers aren’t just made out of any old cow, but rather massaged Wagyu imported from Japan. They aren’t simply dressed in ketchup and mustard—instead, they’re crowned with generous shavings of black truffles and glistening caviar. 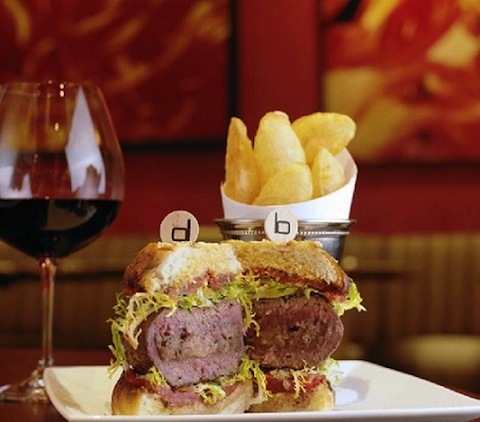 Back in 2001, Daniel Boulud’s DB Royale Double Truffle Burger shook things up with its $27 sticker price. 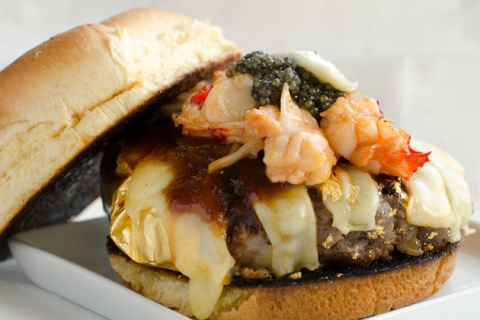 Fast forward to 2013, when Mallie’s in Michigan unleashed a $1,999 luxe burger on the world. 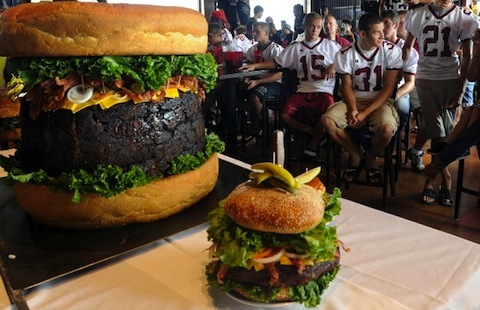 The race to slap a restaurant’s name onto the biggest, the baddest, and the most expensive of all burgers is as quintessentially American as burgers themselves. 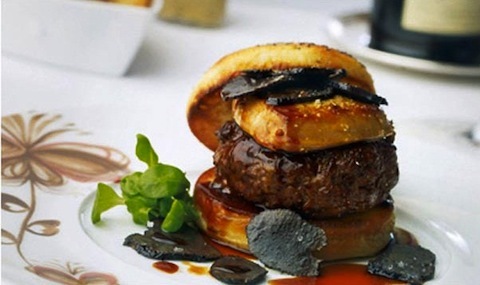 From quadruple-figure burgers paired with bottles of vintage wine, to gold-flaked variations wrapped in hundred-dollar bills, here’s a look at patties that allow you to literally put your money where your mouth is.